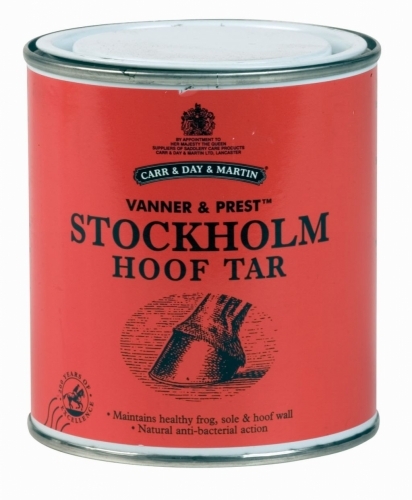 Carr Day Martin Vanner & Prest Stockholm Hoof Tar made of natural, thick vegetable tar maintains a healthy frog, sole and wall of the hoof. Provides a waterproof, antibacterial barrier. 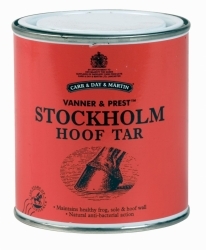 Stockholm Tar protects immediately. Contains the antibacterial action of pine turpenes. Apply with a brush or spatula. Reapply as required. 445 ml lasts up to 6 months, depending on use.